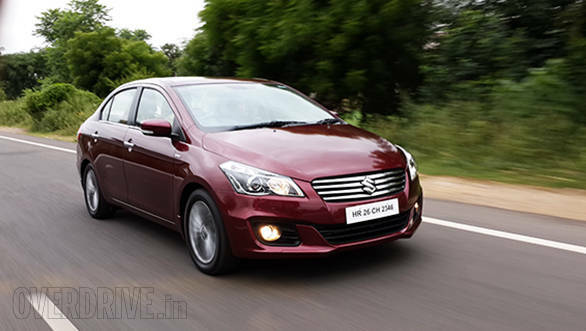 With a view to make safety a priority, India's largest car manufacturer, Maruti Suzuki is offering the Ciaz sedan with driver airbag and ABS as standard across the range. In addition to this, the petrol Ciaz also gets a new VXi(O) trim which has dual airbags, seat belt reminder buzzer and pre-tensioners. The prices for the base variants will increase by Rs 5,000 while the Vxi (O) is costlier than the VXi by Rs 17,000. With the introduction of SHVS on the diesel, the VDi(O) trim was already added to the lineup and has the same features as its petrol counterpart. Maruti has in the past received quite a bit of flak for not offering safety features as standard. The crash tests conducted last year saw two very popular Maruti cars -the Swift and Alto, failing the tests miserably. Also its popular AMT-equipped Celerio didn't have an option for either ABS or airbags. Maruti took remedial measures by introducing an optional driver airbag with the Celerio with its ZXi trim. The recently launched Maruti S-Cross also has dual airbags and ABS as standard. From the leaked specifications of the 2015 Ertiga, driver airbag is now standard in the people mover.